Even though most endurance athletes have one big race each season, that doesn’t preclude them from doing many other events. After all, if you can do an Ironman® or a 70.3, then you should be able to just jump into a marathon for fun…right? The answer would be yes if it weren’t for two specific issues. The first problem is performance related — even though this might be a “training race” or “just for fun” most Type A endurance athletes will do their best to set a personal best regardless. The second issue has to do with athletic bandwidth — these athletes have already been training for a long time for their existing race schedule…one more event is often one event too many. But don’t worry; you can still work towards a personal best on both fronts with some refocusing of your training. Here’s how you can do it. The traditional training model of Base, Build and Peak training suggests that the final push to your race should include speedwork to build on the aerobic foundation you have developed earlier in the season. However, very few individuals can handle peak volume and additional intensity at the same time. Most endurance athletes will build to some of their biggest training weeks and most challenging individual sessions over the final weeks before starting to taper. Instead of getting faster, these athletes usually succumb to fatigue, burnout or injury. Race preparation training is, by nature, race-specific. If you are training for a mile relay effort, your final training push will look a great deal different from what a marathon runner might do. Once you move out of that final training window, however, the endurance athlete has a much greater opportunity to gain fitness through speed. With the volume requirement has been removed, an athlete can do multiple hard workouts each week with ample time for recovery. Aside from getting faster on fewer hours of training, most endurance athletes benefit from the radical change in their training focus. After months of long steady training, your fitness has acclimated to the demands of the regular training schedule. This adaptation means that improvement is much harder to come by; an annual shift to a focus on speed will allow you to balance out your endurance training and enable you to see improvements year-round. It’s not just about running faster more often…it’s about the right balance of work to build your fitness accordingly. While many runners fear speed work because of an increased chance of injury, the truth is it isn’t the work itself it’s that there’s been no adaptation. Don’t rush into your new program; instead build deliberately to ensure adequate recovery and excellent form. The fatigue you’ll experience with increased intensity is still significant; your ability to rest much also increase commensurately. Also, remember that you should also have a significant Warm Up before conducting any speed session. An example would be fifteen minutes of running building from easy to moderately hard, then three repeats of 30 seconds at 5k effort with 1:10 of jogging after each. Three minute intervals are the perfect duration to challenge your top-end speed without sacrificing form. Each repeat should be followed by two minutes of rest during which you can run at the level you feel most comfortable and most likely to recover for your next interval. Run these at approximately 103 to 105% of your current 5k speed. Start with three repeats, and build up to five or six repeats. In addition to the top-end speed, you can do significant work at your running threshold level. This effort is enough to see gains without creating the need for massive recovery. 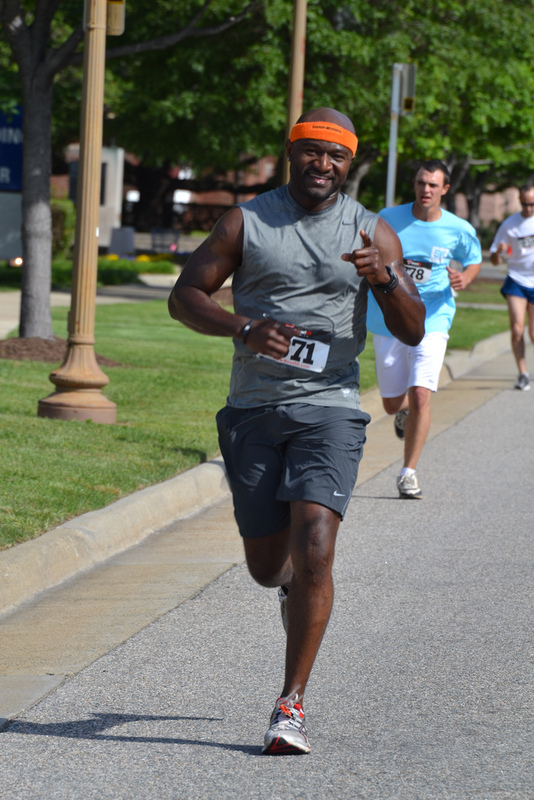 After a good warm up, run a mile at your threshold pace / heart race, approximately 95 to 97% of your current 5k speed. Recover for 50% of the time your ran (a 9:00/mile pace nets you 4:30 of recovery. If required you can walk the first part of your recovery interval.). Start with one mile and build to three mile repeats; note you can increase by 1/2 mile increments as needed. Aside from these two interval sessions, there is one more run to consider. This is a very aerobic, easy run ideally done at a conversational pace. You might even consider doing it with a group / in a social setting to keep you honest. The goal here isn’t to push the pace but rather to do the minimal work required to keep the basic endurance you have built. This can be anywhere from a hour to ninety minutes long; built it as you see fit and keep it easy. Any overachieving here will result in your inability to push the quality interval runs. Running faster is rewarding; you see the results of the interval sessions almost every week. And thanks to a generous off-season holiday schedule there is no shortage of 5k or 10k races you can schedule to keep pushing your limits. Remember to recover just as much as you work and to make the most of you off season. There’s still plenty of time to add volume later in your year, and soon you’ll be adding it on top of your newfound speed. Guaranteed you’ll be pleased with the results! Fast BEFORE endurance? …. Interesting. I’ve always been taught the polar opposite. Might as well try- Injuries do worry me with this method however. @Ben, thanks for the comment! Yes, just fast all the time or fast off the couch definitely increases your risk for injury. But the way we work “fast” inside Endurance Nation is off of the results of your own functional test. If you run a 27-min 5k and Tina runs an 18-min 5k, your “fast” efforts will be very different….yet very specific to your ability level. Hope that makes sense!